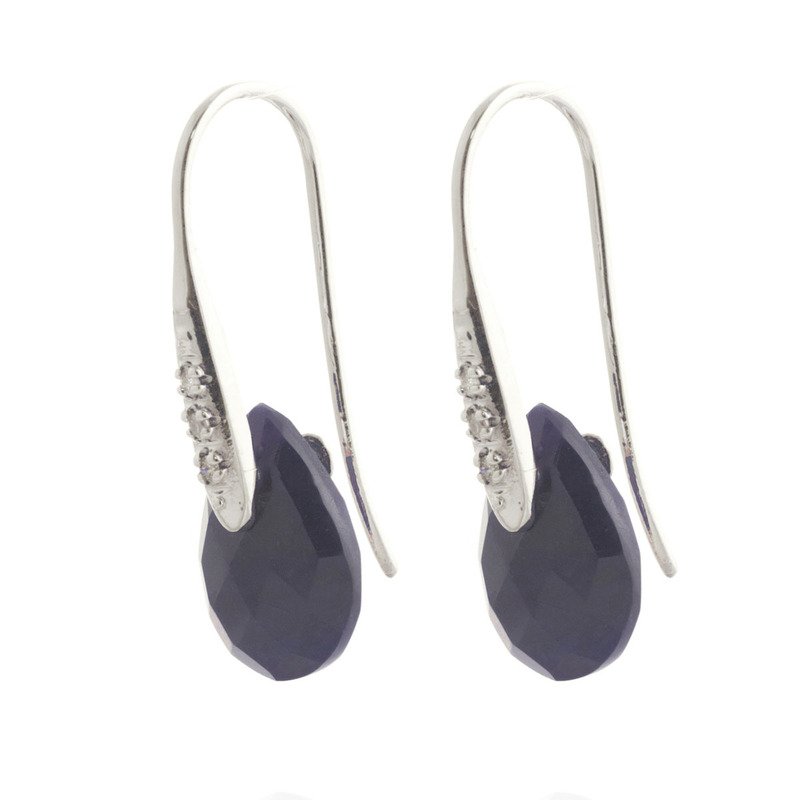 Sapphire & diamond fish hook drop earrings handcrafted in solid 9 carat white gold. 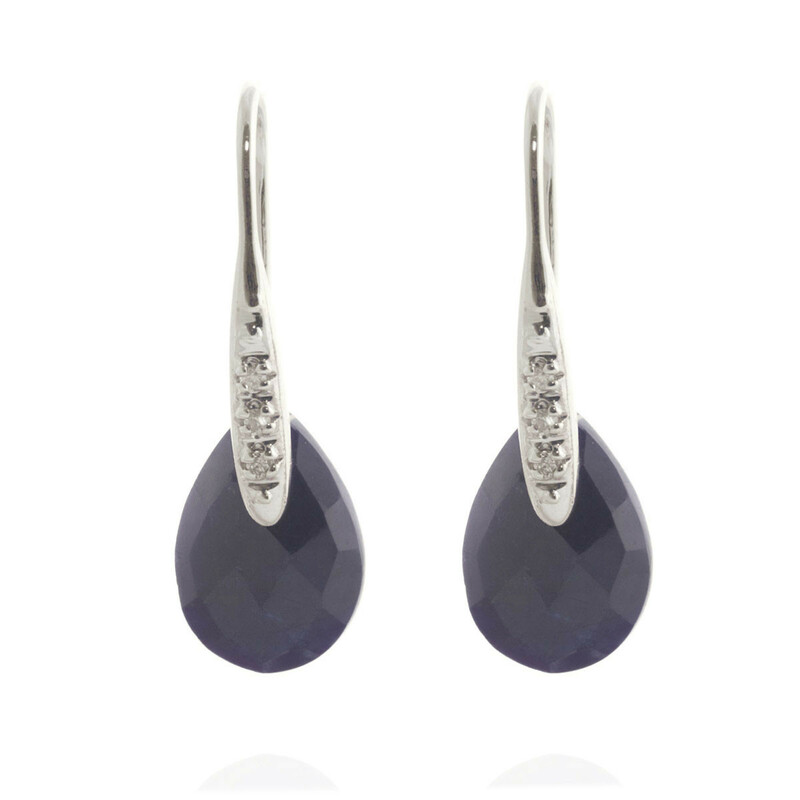 Two natural sapphires, total 8 ct, six diamonds, SI-1/G, total 0.06 ct for both earrings combined. Briolette cut.